Ive done some searching but I can't get a clear answer. Are the 2012 and 2015 Nismo wheel liners and under-tray the same? I'm seeing different part numbers but want to confirm with you all. 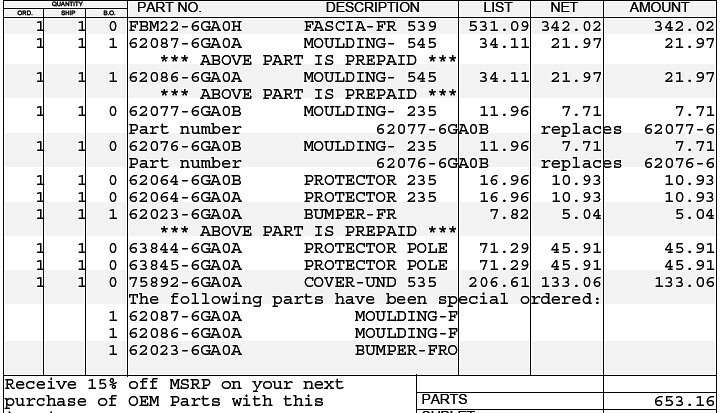 My body shop is ordering parts tomorrow and want to make sure they get the right parts. Courtesy of Raf. Front conversion parts list. 2011 Nismo#91, axmea?, Memphis370Z and 1 others like this.